I feel like I spent most of the month of December on vacation. Looking at my work schedule, I still worked a solid 10 days. I think that's a major accomplishment, don't you? Most of that time was riding herd on my co-workers to complete their compliance training by the end of the year. We've still got one more day - you can do this! 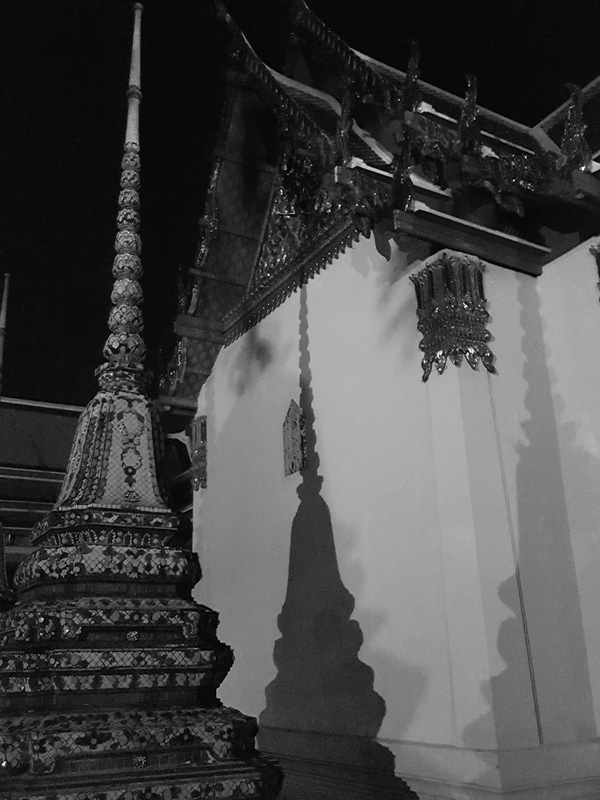 Actually vacation started in late November. 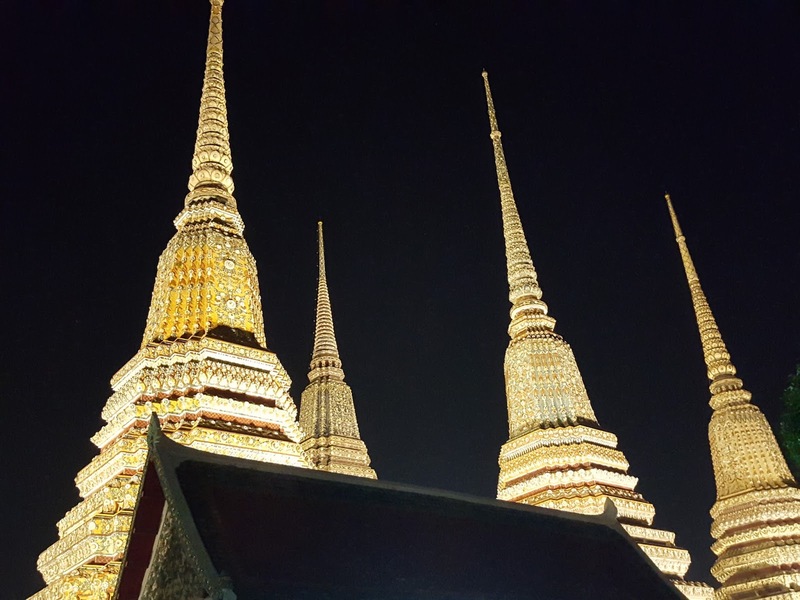 I spent Thanksgiving Day crossing the international date line, landing in Bangkok just before midnight. No turkey for me this year! 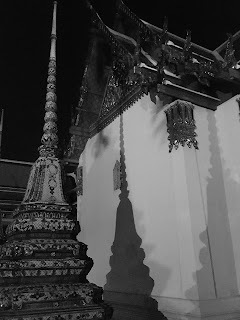 My first (and only other) time in Bangkok was in February of 2009. I was excited to go back and share a little bit of Thailand with my family. 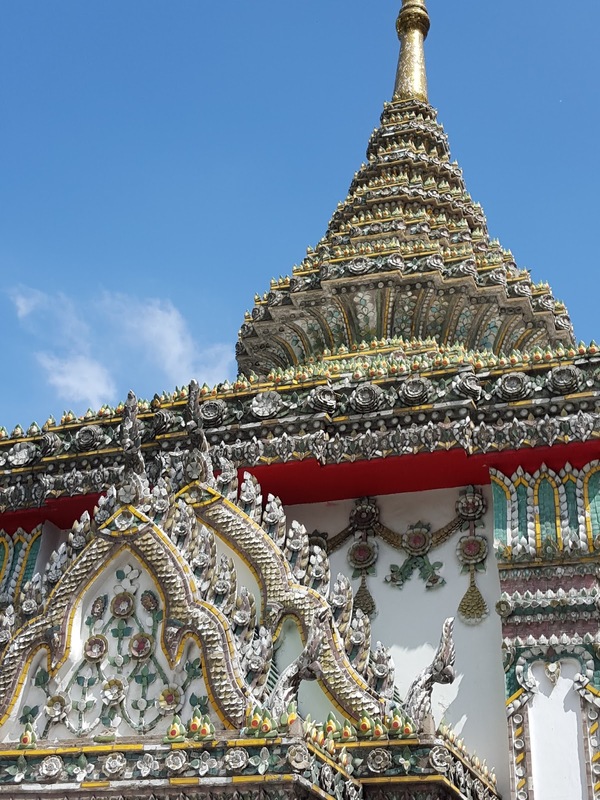 We had only two days in Bangkok. 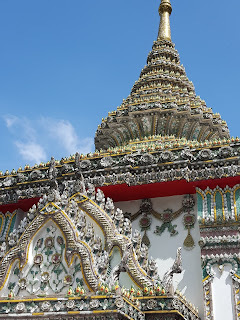 Naturally we filled the time with fun, food, temples and laughter. 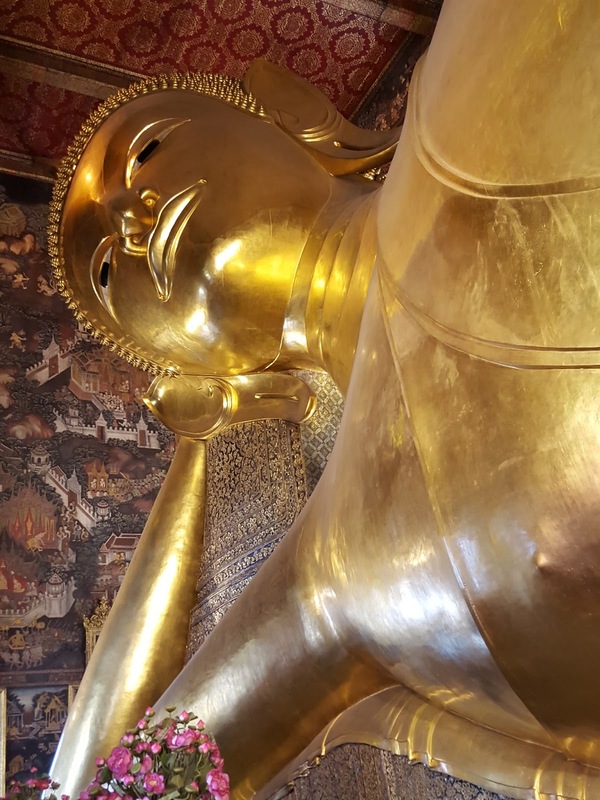 We had the opportunity to see the beautiful Wat Pho by day and by night. 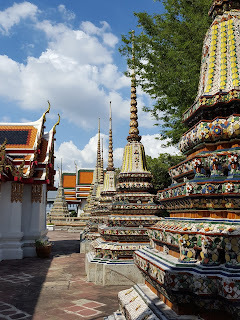 On the first day, we took the water taxi on the Chao Phraya and explored all the corners of Wat Pho. We enjoyed our first foot massage of vacation at their massage school. 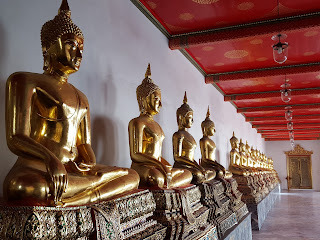 Thailand offers many wonderful experiences and foot massages are an inexpensive treat that should not be missed. 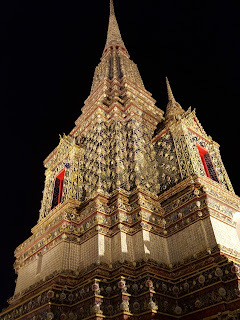 On our second day in Bangkok, we went on the midnight food tour with Bangkok Food Tours. 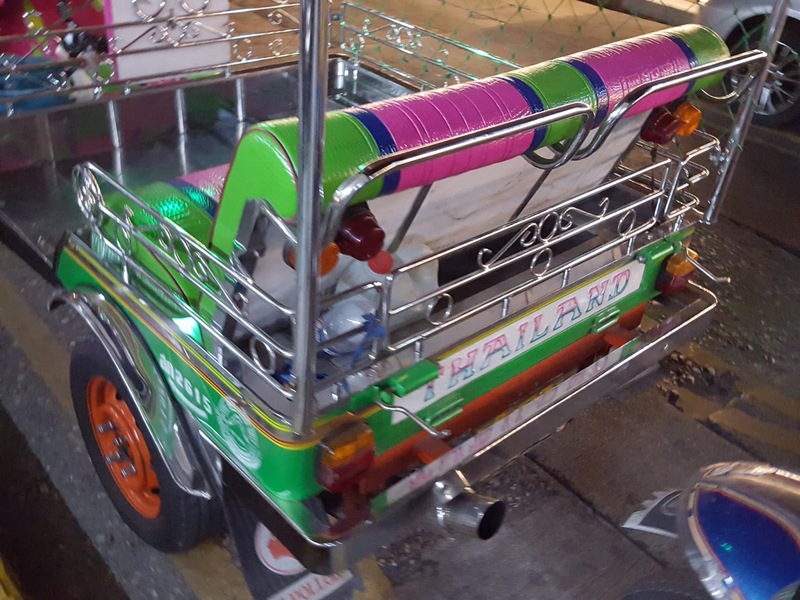 Delicious food and fun rolling through the streets of Bangkok in style. One of the stops on our night tour was to Wat Pho. 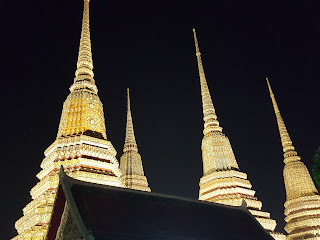 It was so peaceful to re-visit this temple at night without the crowds and heat of the day. 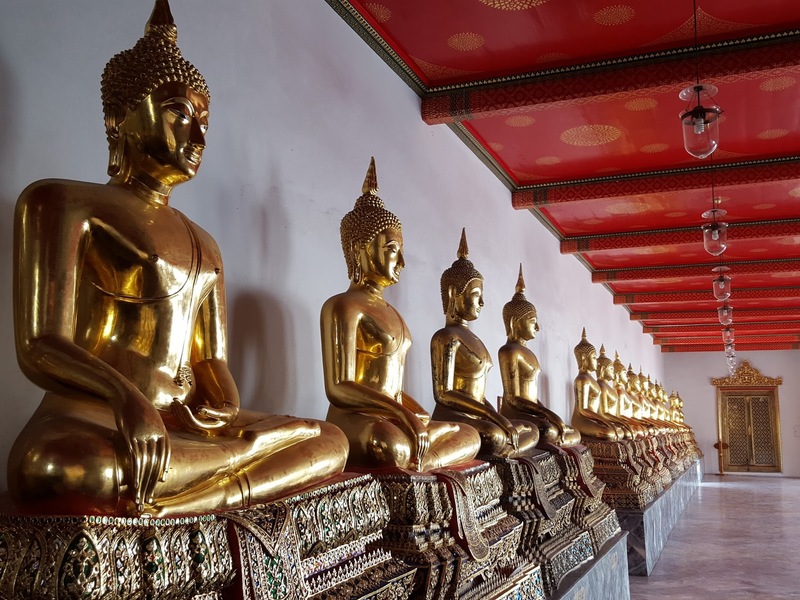 Have you been to Bangkok and visited Wat Pho?